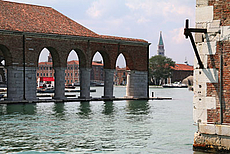 The sestiere of Dorsoduro, whose name derives from the Italian word for "hard ridge", is an area of higher and more stable land in the Venetian Lagoon. 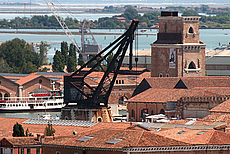 The district also encompasses Giudecca island and Isola Sacca Fisola. 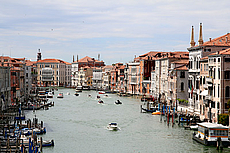 Dorsoduro is home to some of the most important art institutions in Venice, such as the Accademia, and the Peggy Guggenheim Collection (see our tour along the Canal Grande). 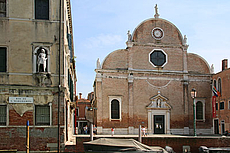 This walk goes through less frequented neighborhoods, starting at the Ponte Longo over Rio di San Trovaso on Fondamenta Zattere. 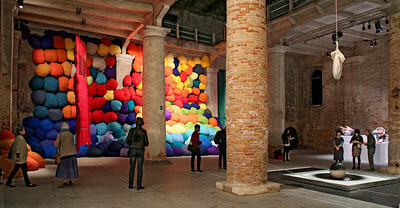 It guides to interesting art institutions which offer an exhibition program throughout the year, and historical places often used for temporary shows, in particular during the editions of the Venice Biennale. 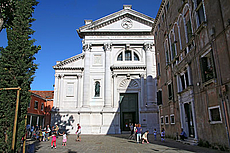 The way goes also to the famous Chiesa di San Sebastiano, notable for its cycle of paintings by Paolo Veronese, and passing by the Chiesa Angelo Raffaele to Fondamenta Pescheria, it ends at one of the main venues of the Università Iuav di Venezia, in a former cotton spinning mill. One of the main veues of the Istituto Universitario di Architettura. 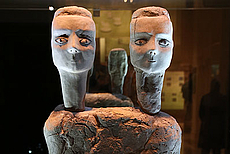 Contemporary art venues, art-historical collections and attractions. 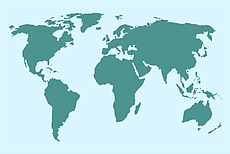 Art walks and itineraries to experience the city in less crowded areas beyond the beaten tracks.